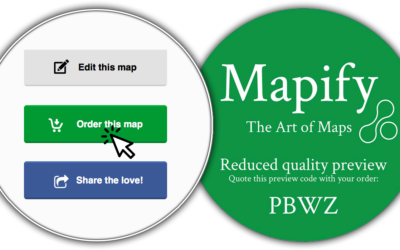 Our obsession for detail goes right back to the beginning of Mapify. When we created our first panoramic map poster, we wanted it to contain all the back streets and paths but at the same time cover an enormous area. You may know from using Google Maps that when you zoom out the details start to get lost. We were not satisfied with the tradeoff between size and detail so our quest to create the world’s most detailed map posters had begun! Below you can experience the level of detail for yourself in one of our most beautiful maps, our panoramic London map print. This is the original image used to create our London Panoramic Map Poster, its big! 1.6 Giga pixels to be exact. That’s well over 100 times bigger than the highest quality image an iPhone 7 can create. Scroll on the image below to zoom in and out and explore the amazing world of our ultra detailed map posters. The level of detail in a map is limited by the number of pixels that can be squeezed into the space available. We knew that in order to capture all the detail in our maps we would need to create incredibly high-resolution images. The key measurement of resolution is the number of dots (or pixels) that fit on each inch of paper, the DPI. 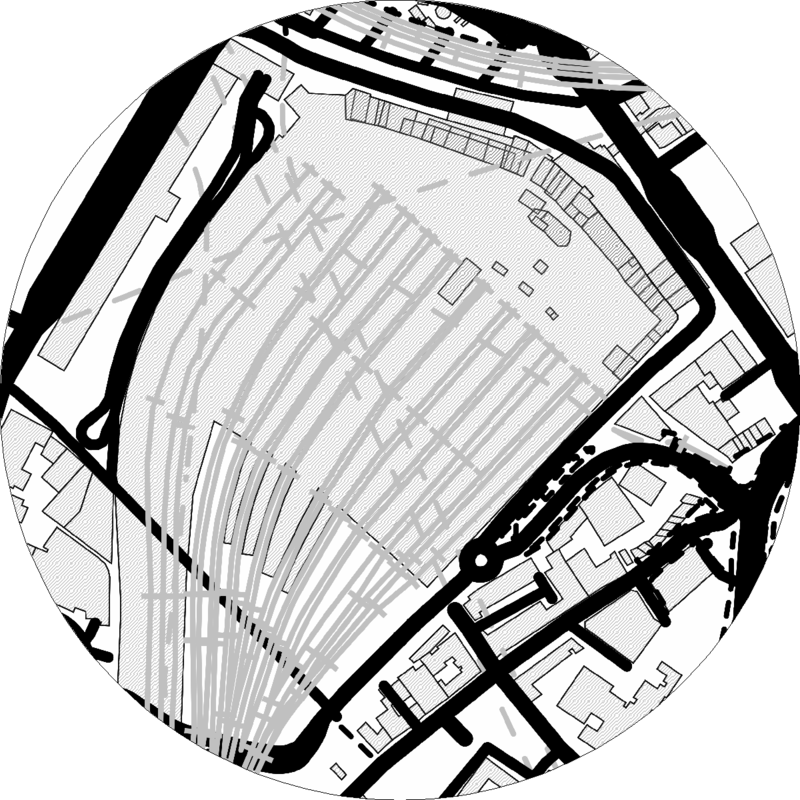 Below you can see London Waterloo railway station in three resolutions. To put it in perspective, this cutout from the fullsize map print is about the size of the home button on an iPhone. At Mapify we aim to produce all our maps at 1440 DPI and above. Our FineArt printer has a maximum resolution of 2400 DPI so there is room for more! This is the kind of resolution you could expect from a top of the range inkjet printer. It’s okay but not nearly good enough for us. 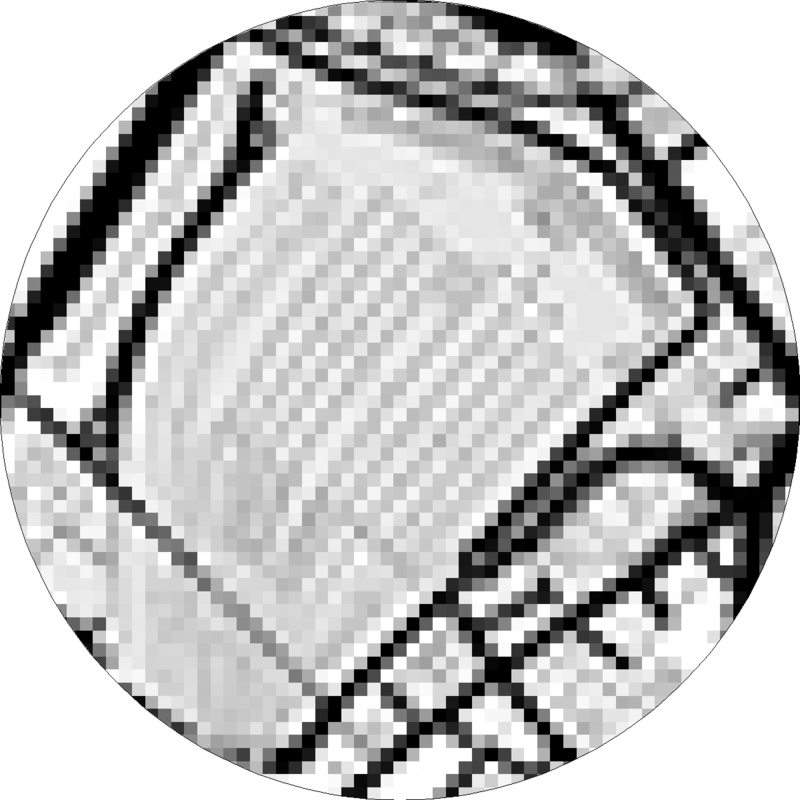 At 300 DPI the image starts to become ilegible. This is about the size of the image we send via email when you request a preview. The second critical step in creating ultra-detailed map posters is the data. 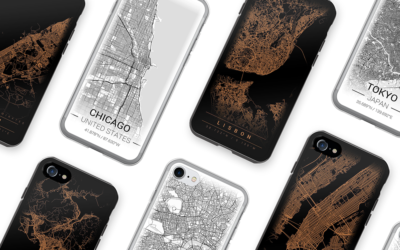 In our map prints, we use map data from OpenStreetMaps. OpenStreetMaps has collected map data over many years from millions of people around the world entering the details of their towns, cities and villages. If you don’t see your house on our map, just head over to OpenStreetMaps and add it yourself. Adding data is easy. The data now covers the entire world in an amazing level of detail. As you can image, a map of data covering the entire planet is a lot of data. It’s about 1.5 Terabytes and about once a week we take a snapshot of that data so we have the most up to date information to turn into beautiful maps. Having access to the original data means we can create maps of any size with as much detail as we choose. When you choose a larger area to create your map, we just use more of the data. 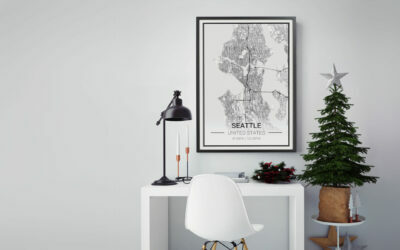 You don’t have to be an expert cartographer to make yourself an ultra detail map poster. With our online tool, we take care of the hard work so that making a map is easy. The preview you can see online is a compromise between showing you what your map will look like without using up your monthly data volume! Use the request a preview function and we’ll email you a higher quality preview of your final print. Even our previews are significantly reduced so we think you’ll be pleasantly surprised when the final high-quality print arrives.